An enthralling, daring collection of stories narrated by animals caught up in large-scale human wars and linked in personal or poetic ways to the great writers of their time. In a trench on the Western Front, a cat recalls her owner Colette’s theatrical antics in Paris. In Nazi Germany, a dog seeks enlightenment. A Russian tortoise once owned by the Tolstoys drifts in space during the Cold War. During the siege of Sarajevo, a starving bear tells a fairy tale. And a dolphin sent to Iraq by the U.S. Navy writes a letter to Sylvia Plath. 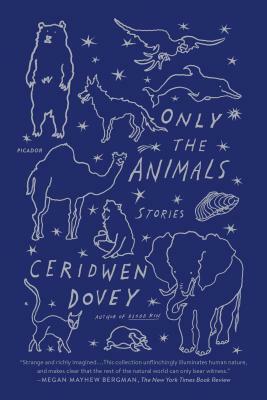 Exquisitely written, playful, and poignant, Ceridwen Dovey’s Only the Animals is a remarkable literary achievement by one of our brightest young writers. An animal’s-eye-view of humans at our brutal, violent worst and our creative, imaginative best, it asks us to find our way back to empathy not only for animals but for other people, and to believe again in the redemptive power of reading and writing fiction. Ceridwen Dovey’s debut novel, Blood Kin, was published around the world and selected for the National Book Foundation’s prestigious 5 Under 35 honors list. The Wall Street Journal named her one of their "artists to watch." Her short story collection, Only the Animals, was published by FSG in 2015 and described by The Guardian as a "dazzling, imagined history of humans’ relationship with animals." She lives in Sydney, Australia.